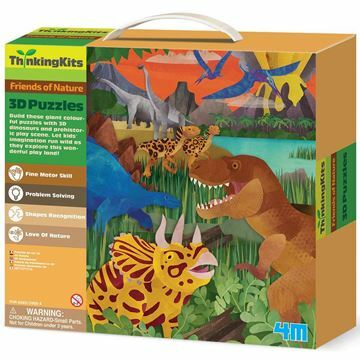 Proudly distributed in New Zealand by Holdson, 4M has fast become one of the world’s leading manufacturers of creative craft and science kits for curious kids. 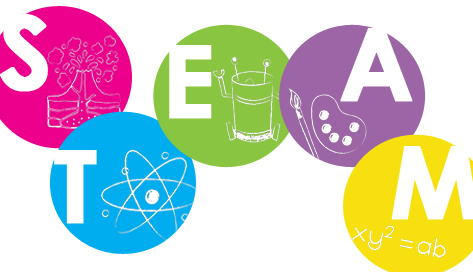 Promoting education, the brand is dedicated to developing exciting products that enhance and inspire children’s natural curiosity and encourage them to be creative. 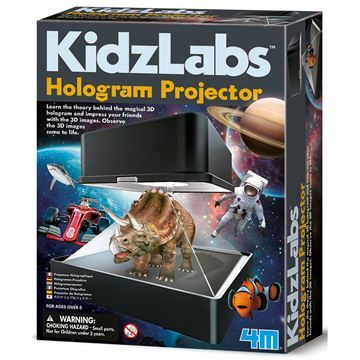 Every product incorporates the core S.T.E.A.M principles of science, technology, engineering, arts and mathematics – giving children the opportunity to experiment and be creative in an exciting, but safe way. 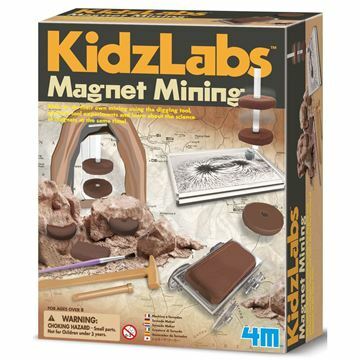 The range includes: Fun Mechanics, Eco-Engineering, KidzRobotix, Green Science, KidzLabs, Excavation Kits, Glow, Thinking Kits, Mould & Paint, KidzMaker and Creative Crafts. 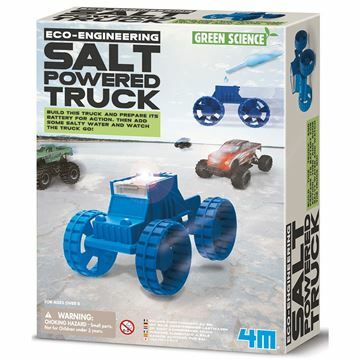 4M has been advocating the STEAM learning approach for over 20 years. 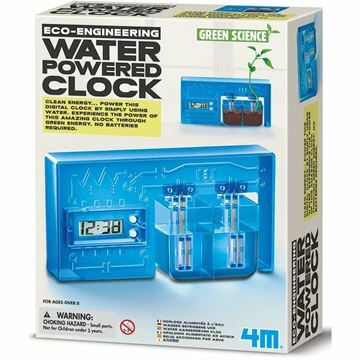 A well-respected form of learning, 4M products aim to teach children how to think critically; applying creative and mathematical approaches to real world engineering, scientific and technological problems. 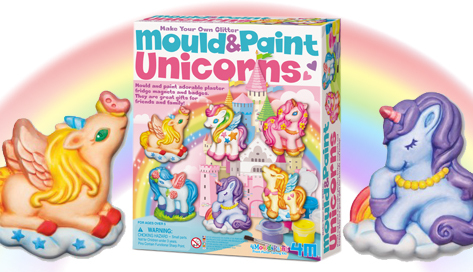 Make your own glitter unicorn magnets and badges with this unicorns mould & paint kit art. Simply mix the powder with water and pour into the moulds, wait to dry & decorate. 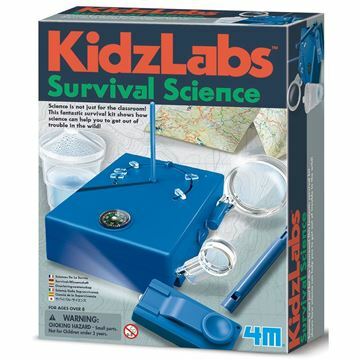 Includes: Six different mould designs, paints, brush, glitter, plaster powder and instructions.